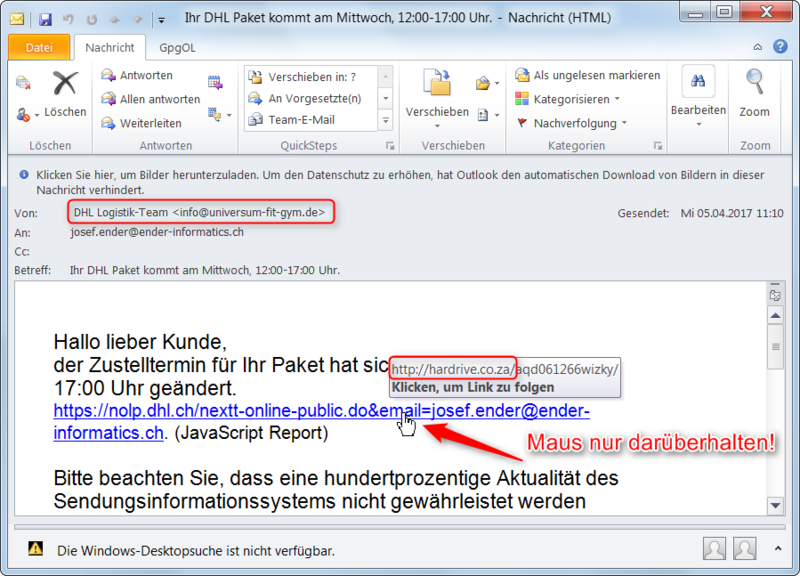 Criminals use trustworthy sender addresses to get recipients click on a malicious link and download malware. Do not click on any links. Just hover the mous over the link and check the real link. A legitime sender uses his own domain in e-mail as well as in links. In this example it would be “dhl.com”.